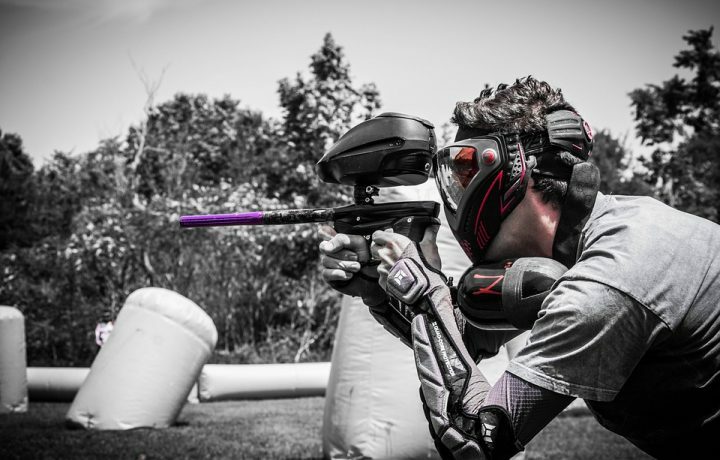 In this article, we have compiled a detailed list the best paintball guns under $300 available in the market. 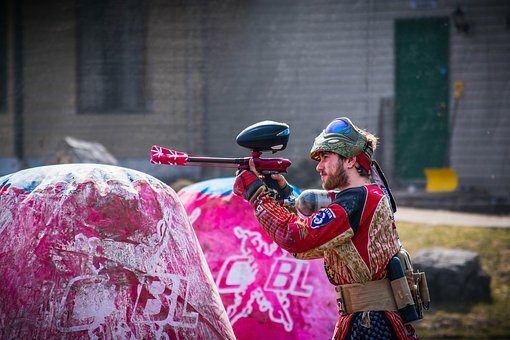 Settling for the best paintball gun largely depends on the type of paintball games that interest you as well as your level of experience. The guns we have chosen to include in this list cover a broad range of needs. Every gun appearing on this list is chosen on the basis of its price range, quality, user rating, and suitability for experienced and inexperienced users. Other features, such as internal system, shooting rate, shooting distance, and recoil will be specified for each model. 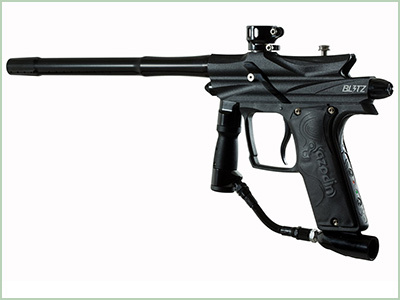 The Tippmann 98 Custom is one of the best paintball guns for beginner players. The gun is easy to clean and maintain since it’s easily disassembled. Its low price makes it an excellent choice for inexperienced paintball players who do not have any specific gun preferences. The gun is also fully customizable using new technology components. 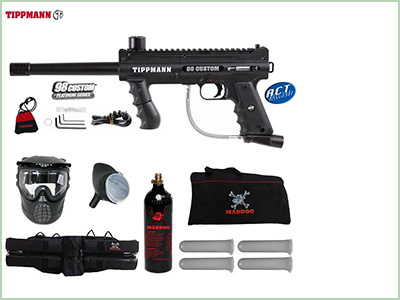 The Tippmann 98 Custom is a high-quality paintball gun. It is resistant to impacts and can withstand pressure from accidental falls. Also, the user rating for this gun is proof of its impeccable performance. The gun has an average user rating of 4 stars, out of a possible 5. The gun’s internal mechanism is divided into two sections that work with either compressed air or liquid CO2. Its accurate and speedy eight-shots per second are just as good as a premium paintball gun. The Tippmann 98 Custom has desirable recoil and is highly recommendable for woodsball or recreational paintball matches. You can read our full Tippmann 98 Custom review for more details. The Alpha Elite Foxtrot is also an excellent beginner paintball gun. Its low price makes it an excellent choice for beginners who do not want to commit to a specific gun. The gun comes with a red dot sight, and a carry handle to help an inexperienced player hit a target. The user rating for the Elite Foxtrot is proof of its high performance and quality. The average user rating for the paintball gun is 4.2 stars, out of a possible 5. The Elite Foxtrot is semi-automatic and shoots a 0.68 caliber paintball. 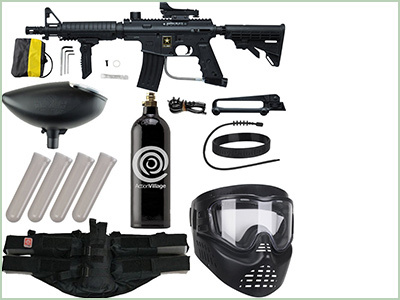 The Gun’s kit comes with 20 ounces of liquid CO2 to enable you to run it, plus a mask and a wristband for your safety. 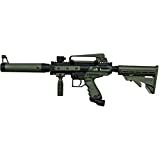 This paintball gun’s stock can be removed during game preparation and maintenance. The added oil packet can be used to clean it as part of the maintenance process. 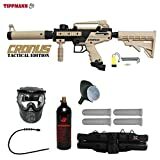 The Cronus tactical gun is the best paintball gun option for inexperienced level players. 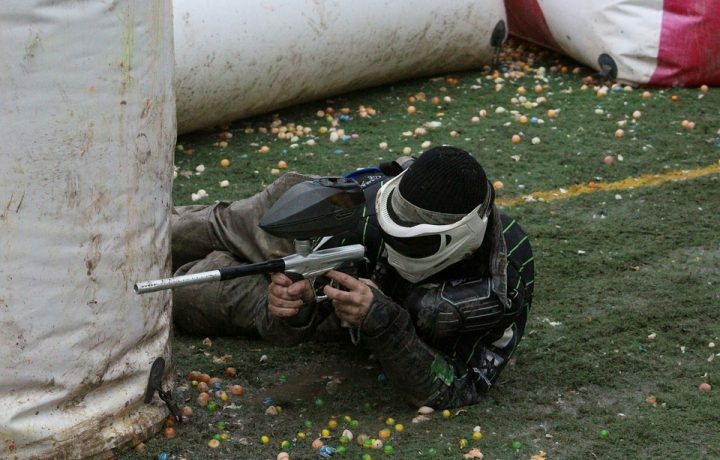 We actually believe it is one of the best paintball guns for beginners. It has a bold shape and withstands pressure from sudden impacts and falls. The gun has lightweight rubber grips that make it comfortable to carry around. 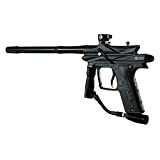 This paintball gun is made of a superior quality material that harbors the mechanical trigger, feed, and stock barrel. User rating of this gun proves its high quality and performance. The average user rating is 4.6 stars, out of a possible 5. The Tippmann Cronus features resilient construction that significantly improves the devices’ lifespan. The gun is also fully customizable with technological advancements according to the user’s gaming style and preference. 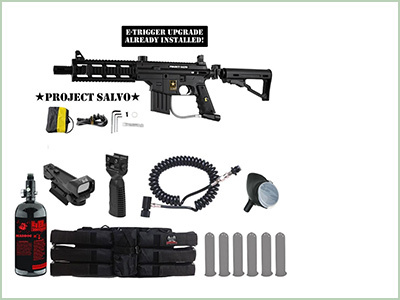 The Salvo paintball marker gun is our best beginner gun. It’s quite cheap compared to other paintball guns. Its low price makes it an excellent choice for paintball players who are in the game to experience how paintball guns work. The gun has a real AR rifle shape that makes paintballing look just like real war. The Salvo Paintball marker gun is made of a high quality material that makes it compatible with the 98 custom series trigger kit. User rating is also proof of the gun’s quality. The paintball gun has an average user rating of 5 stars, out of a possible 5. This painting ball features a quick thread barrel which is 11 inches long. It is, however, quite heavy but the thrill during the game makes you forget about its weight. 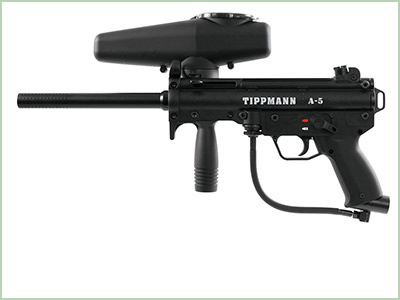 This Tippmann A-5 hardware is a somewhat sophisticated paintball gun, well suited for experienced players. However, installation and connecting its components is not as complicated as other guns. Its connect mechanism allows users to install parts in less than 60 seconds. The paintball gun has a shock resistant end cap that significantly reduces recoil. Its high quality also minimizes wear and tear during operation. User rating for this model on average is 4.5 stars, out of a possible 5. The Tippmann A-5 features 15 balls per second speedy shot without the need for batteries. Its sizeable front grip is very comfortable to the user, thus improving efficiency. Its internal barrel has a large diameter that allows easy cleaning and maintenance. One misconception of this model is that its many features make it look bulky and uncomfortable. The truth is that the Tippmann A-5 is a lightweight gun at just 3.1 pounds. This gun is made of quality material as depicted by its user rating. The average user rating for the Azodin Blitz is 3.5 stars, out of the possible 5. The Azodin internal mechanism uses either liquid CO2 and HPA gases during operation. Its built-in piston allows you to switch between the liquid or gas when desired. However, we recommend that you use compressed HPA gas for a better shot consistency. The gun features four firing modes that include CFOA semi-automatic, millennium ramp, PSP ramp, and a semi-auto. Each style has its firing rate, and choice largely depends on the user preference. 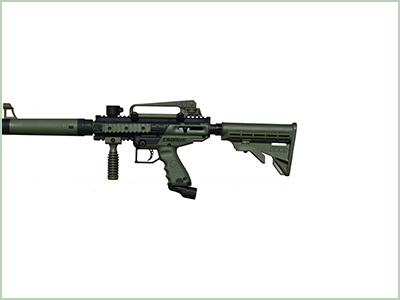 This paintball gun is excellent for recreational paintball games. However, the Azodin makers need to minimize the loud noise the gun makes when firing. For more details check out our Azodin Blitz 3 review. 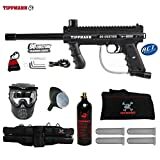 The Tippmann TiPX is an excellent paintball gun for both inexperienced and professional players. Its military shape entices players whose adrenaline rise with a ‘real war’ feel. The gun is very easy to disassemble making it convenient to clean and maintain. 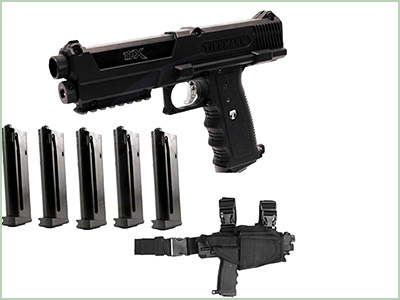 The user rating for the TiPX Paintball Pistol is proof of its high performance and quality. The average user rating for the paintball gun is 4.7 stars, out of a possible 5. The gun features precise and accurate shots courtesy of its two fully loaded magazines each with seven rounds. While the gun has fewer rounds than is other variants, customization of any of its components is quite easy. Operability of this gun is straightforward and very comfortable. The absence of CO2 cartridges makes the TiPX very light, further improving its handling when playing. While many paintball gun models exist out there, we have listed the best paintball guns under $300, quality and user rating. 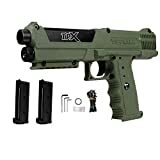 Considering the price-value ratio of all the paintball guns featured, the Tippmann TiPX Paintball Pistol Marker Pistol wins it. Besides, its military shape makes players feel like they are in real war action. 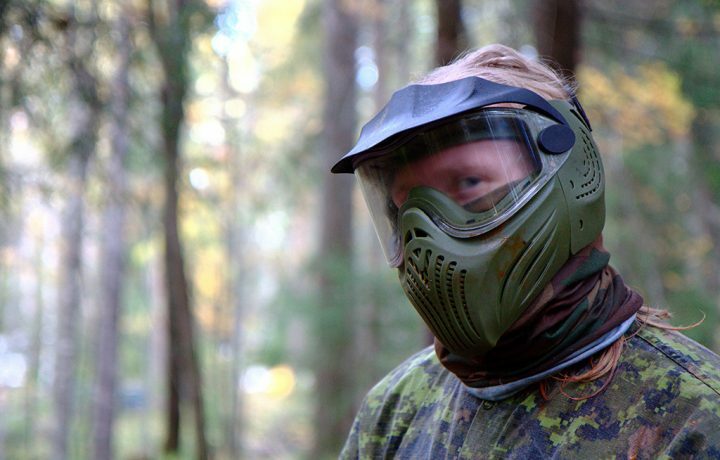 The gun is also suitable for both inexperienced and professional paintball players. 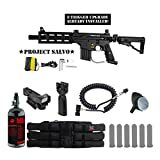 Which are the best paintball guns under $300 in your opinion? Let us know in the comments!